Grout Systems was contracted to install 505 – 16” dia. Auger Cast Piles each 45’ to 63’ deep for an aggregate length of 26,839 LF. 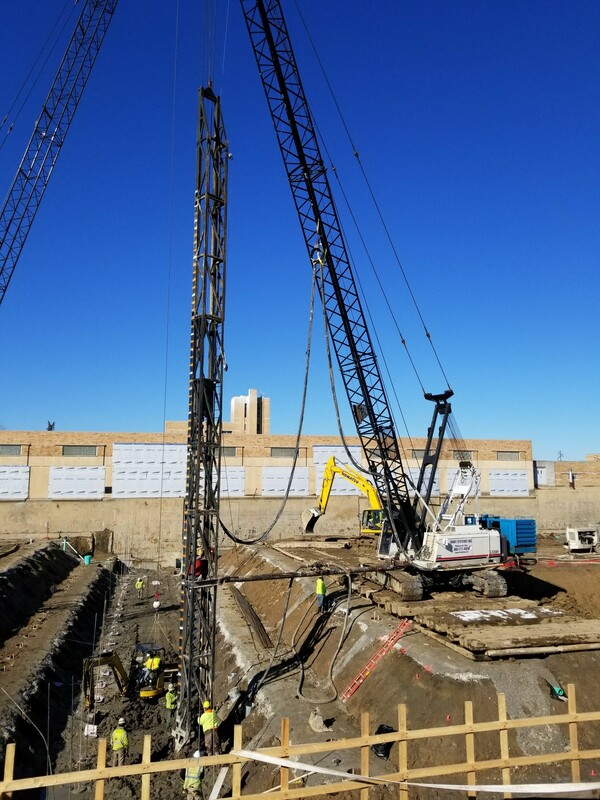 Piles were installed from “pile cut-off” EL- 591’ to EL- 577’ in a continuous operation. 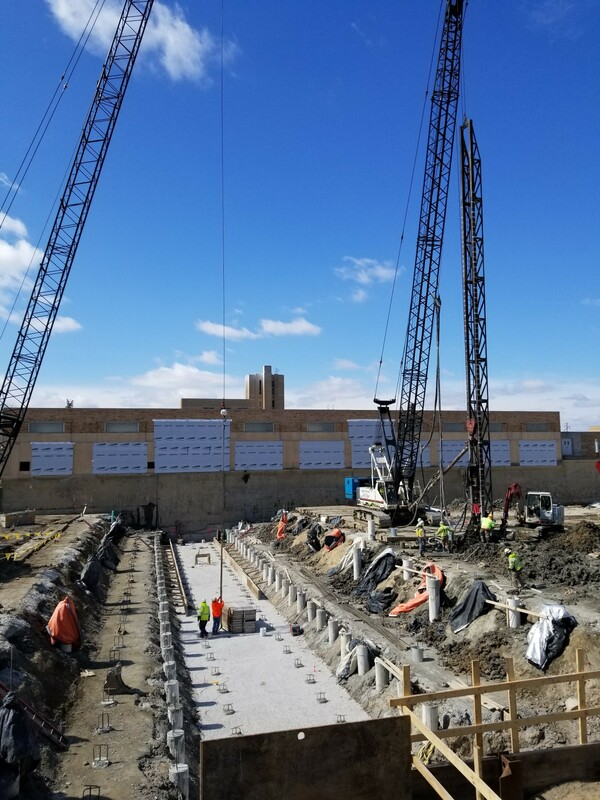 This allowed the General Contractor to pour his foundation concrete immediately after piling completion and without the need for chipping piles back down to “cut-off”. Careful coordination and team work allowed GSI to complete production piling in 25 days.